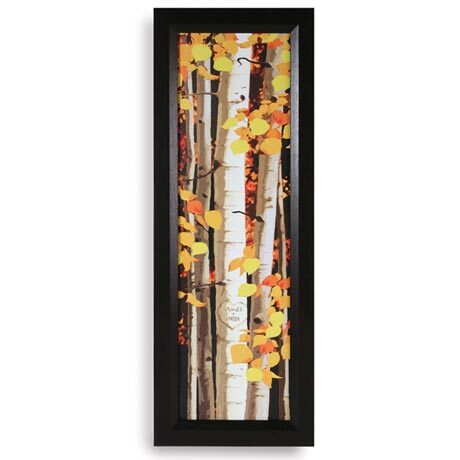 Imagine a birch tree in a woods somewhere, bearing the names of two people in love. (You and your sweetheart?) The perfect gift for an engagement, wedding, or anniversary, an illustration by artist Scott Kennedy is printed on 100% rag fine-art canvas in a black frame. Specify initials or names (up to 9 characters each) to go inside the heart, on either side of the plus sign. Handcrafted in USA, ready to hang. Available in two sizes. Specify small (8"w x 20 1/2"h ) or large (10"w x 26 1/2"h). Please allow 4-6 weeks for delivery. Sorry, no rush delivery or gift wrap available. Item can only be shipped within the Continental US.